Venice is a popular destination for travelers embarking on a Mediterranean cruise, and it's also teeming with tourists looking to enjoying the city's romantic charms - activities like taking a private ride in a gondola, strolling through St. Mark's Square, or sharing a kiss on the Rialto Bridge. Fortunately, there are plenty of incredible lodging options in the City of Bridges, with options to suit every preference. If you're looking for a luxury hotel with stunning views of Venice, but away from the hustle and bustle of the main tourist areas, book the Hilton Molino Stucky Venice on Giudecca Island. 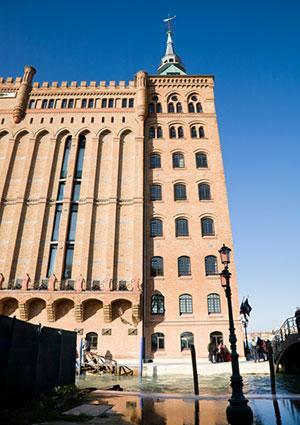 The historic hotel is housed in an old 19th century flour mill that became derelict in 1955, and was reopened as the luxury Hilton Molino Stucky in 2007. The hotel boasts nearly 400 beautifully decorated rooms and suites, a magnificent spa and seven restaurants and bars, including a special Nutella cafe. The seasonal rooftop pool is a welcoming spot during the hot summer months for which Venice is known. The property earned accolades as "Europe's Leading Conference Hotel" from 2013 through 2015, making it a great choice for business meetings. 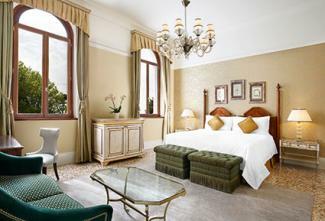 Bagiloni Hotel Luna is the highest rated hotel in the prestigious Kiwi Collection. 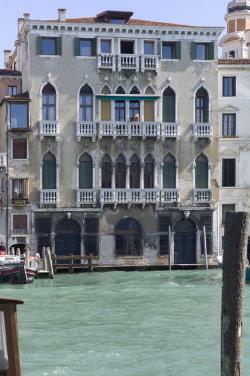 The restored 12th-century building is just steps from Piazza San Marco, overlooking the Grand Canal. The lobby feels like an art museum, while rooms are luxuriously appointed with antiques, silk fabrics, and marble bathrooms. Romance and luxury are visible in every detail at Luna Hotel Bagiloni. Be sure to visit the Salone de Marco Polo, complete with original frescoes from Pupils of Gianbattista Tiepolo. 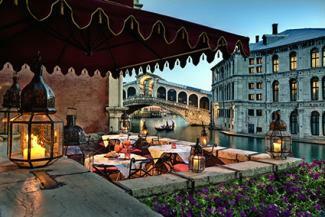 Condé Nast Traveller recommends The Gritti Palace as one of their top three Venice hotel picks. 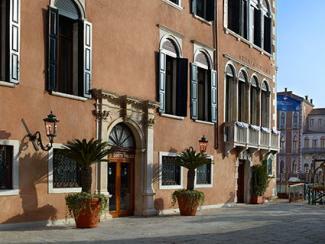 Originally commissioned as the residence for the Doge of Venice in 1475, the hotel's building was later used as the official residence of the Vatican's ambassadors to Venice. Today, the building is now an 82 room hotel, each room or suite featuring distinctive Venetian touches like Murano glass chandeliers, marble tiles, original gold-trimmed ceilings, and more. The Gritti Palace is part of the Starwood Hotels Luxury Collection Hotels, and offers a variety of high-end amenities and services. Their exclusive partnership with Luggage Forward offers door-to-door luggage service - a real perk when navigating the water taxis and narrow streets of Venice. Be sure to inquire about The Gritti Palace Epicurean School, where you can watch food demonstrations, take a tour of Venice's local markets, or sign up for a themed cooking course. 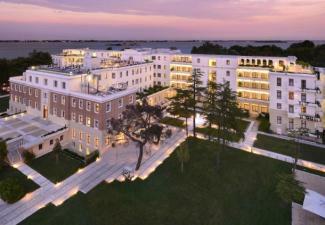 The prestigious Five Star Alliance recommends the JW Marriott Venice Resort & Spa as their preferred hotel in Venice. It also made the cut for their world's best resorts on private islands. The hotel is located on its own private island, Isola delle Rose, a 15-minute boat ride across the lagoon to St. Mark's Square. Italian architect Matteo Thun designed the stunning 266 rooms and suites that are located within five different types of accommodations on the island. There is plenty to do on the island if you're looking to stick close to the hotel. The property boasts four restaurants and bars, a large spa, water sports, a rooftop lounge with pool, and lush garden areas. You won't want to miss hanging out at the rooftop lounge with its 360 degree views of Venice. The JW Marriott Venice Resort and Spa also includes a Wine and Cooking Academy that food and wine enthusiasts will want to check out. The Telegraph recommends the pricy (more than $1,000 per night) Aman Canal Grande Hotel as their number one pick for Venice. If you're a fan of George Clooney, you'll definitely want to book your stay at the Aman Canal Grande Hotel - his personal choice of hotel for his wedding. The hotel is set in a 16th century palazzo. There are 24 ultra-luxe suites, including the Alcova suite that has ceiling paintings by the 18th-century artist Giovanni Battista Tiepolo. 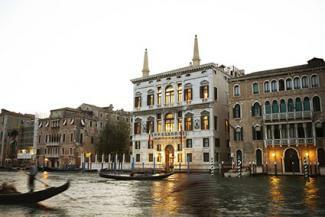 The Aman Canal Grande Hotel is a short walk from the Rialto Bridge and close to the Traghetto San Tomà. Don't miss arriving by boat, where you'll enter the formal 'porta d'acqua,' with its marbled checkered floors and original frescos. There is a grand staircase leading to the rococo ballroom, outfitted in original Venetian decor like Murano chandeliers and terrazzo floors. 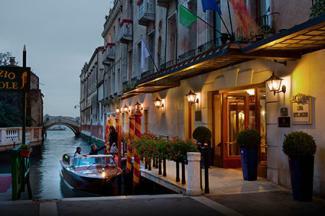 Hotel Al Ponte Antico is the top-rated boutique hotel on Great Small Hotels of the world. The 16th century palace is along the Grand Canal, a short walk to the famed Rialto Bridge and other popular tourist attractions. The family-owned boutique hotel has only seven rooms, outfitted with Louis XV decor and stunning tapestries. Rooms range from Classic Rooms that feature internal views, to a Junior Suite that has a view of the Grand Canal at water level. Don't miss the decadent morning breakfast served in the salon, with its giant glass doors, coffered ceiling, and view right onto the Grand Canal. Look for homemade pastries, cold cuts, cheese, vegetables, fruit, eggs, crepes, and more. The Hotel Guru ranks Locanda ai Santi Apostoli as their best guesthouse for great value. Travelers wanting a solid room for a reasonable rate will like the intimate property with only 11 rooms priced under $100 per night. The property is basically a third floor apartment that has been converted into a guesthouse. The sitting room overlooks the Grand Canal and bedrooms are filled with antiques and unique knick-knacks. There is no on-site restaurant, but they do have air conditioning and offer free Wi-Fi to guests. The popular Euro Cheapo website rates Albergo Doni as one of its top editor's picks, making it another good budget-friendly lodging option in Venice. The family-run spot is housed in a 16th century building near St. Mark's Basilica and offers no-frills accommodations for under $100 a night. There are 13 rooms, some with private baths, and several that have canal views (you'd have to inquire ahead of time to reserve one of these). The hotel offers free Wi-Fi in common areas, and even includes a free continental breakfast is included. Pretty impressive for a hotel surrounded by properties that cost five times as much in some cases! For families traveling to Venice, the Hotel Guru ranks Quattro Fontane as one of the best family-friendly resorts in the area. It's peaceful, family run, and is close to the Lido. It's a former family home, making it even cozier for families traveling together. There are 60 rooms with a variety of beautiful public spaces like reading rooms, a garden, and outdoor dining spots. Because it's away from the hustle and bustle of the main tourist areas in Venice, it's great for family activities like riding bikes, going to the beach, or playing tennis. Italy Heaven recommends that travelers wanting a unique experience in Venice should book the San Clemente Palace Kempinski, located on its own island in the Venetian lagoon. If that's not cool enough on its own, the building was once a monastery and has a beautiful church for travelers looking to get married in Venice. Because it's removed from the cramped tourist zones, you'll also find it to have more of a resort feel, with gardens, a spa, heated swimming pool, and sports facilities like tennis courts and a driving range. The Kempinski brand, Europe's oldest luxury hotel group, took over the hotel in 2015. Whether you're looking for a hotel rich in history, low-cost lodging or the most opulent of surroundings, you're sure to find the perfect home base for your stay in Venice. No matter which option best suits your tastes (and your budget! ), you're sure to have an incredible trip.